This paper looks at recent research dealing with uses of the equal sign and underlying notions of equivalence or non-equivalence among preschoolers (their intuitive nitions of equality), elementary and secondary school children, and college students. The idea that the equal sign is a “do something signal”1 (an operator symbol) persists throughout elementary school and even into junior high school. 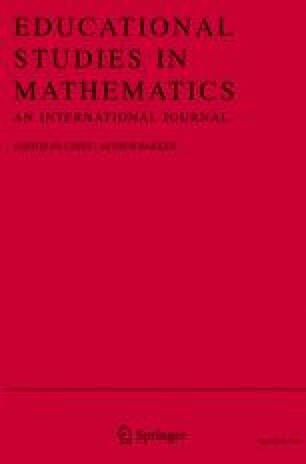 High schoolers' use of the equal sign in algebraic equations as a symbol for equivalence may be concealing a fairly tenuous grasp of the underlying relationship between the equal sign and the notion of equivalence, as indicated by some of the “shortcut” errors they make when solving equations. This expression was first coined by Behr, Erlwanger and Nichols in their 1976 PMDC Technical Report (S. Erlwanger, personal communication, June 1980). This article is based on a paper presented at Fourth International Conference of the International Group for the Psychology of Mathematics Education, Berkeley, California, August 1980.